» Soil ergoserol concentration from Abisko Sweden 2007. 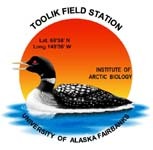 The method , the complete references, and similar results from Alaska are described in Hobbie, J. E., E. A. Hobbie, H. Drossman, M. Conte, J. C. Weber, J. Shamhart, and M. Weinrobe. 2009. Mycorrhizal fungi supply nitrogen to host plants in Arctic tundra and boreal forests: N-15 is the key signal. Canadian Journal of Microbiology 55:84-94. Methods used are in de Ridder-Duine, A. S., Smant, W., van der Wal, A., van Veen, J. A., and de Boer, W. 2006. Evaluation of a simple, non-alkaline extraction protocol to quantify soil ergosterol. Pedobiologia, 50: 293-300. Soil moisture was determined gravimetrically on a separate sub-sample by drying to constant weight. Soil organic matter was calculated from the loss in mass of the dry soil after heating at 500 deg C for 12 hours.